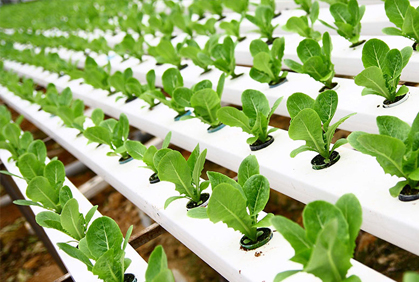 If you are planning on gardening indoors or want to extend the growing season of outdoor plants, it is necessary to incorporate artificial plant lighting into your hydroponic system. There are several different categories of indoor growlights available. LED grow lights are the latest option for indoor gardening and, to date, is one of the most energy efficient and coolest running selections available. High Intensity Discharge lights (HIDs) produce an abundance of luminosity in the blue spectrum which promotes great leafy growth. They are the best primary lights to use in your indoor hydroponic set up if you have no form of natural lighting available. With new innovations in products, fluorescent lighting has also become more popular. 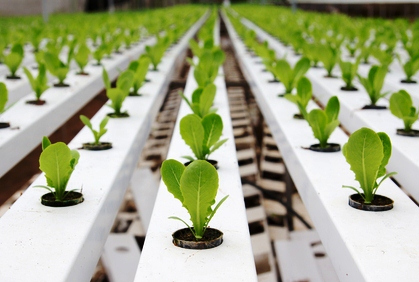 Customized nutrient solutions for particular vegetables such as special hydroponic lettuce ingredients or tomato blends are available online and in stores as well. 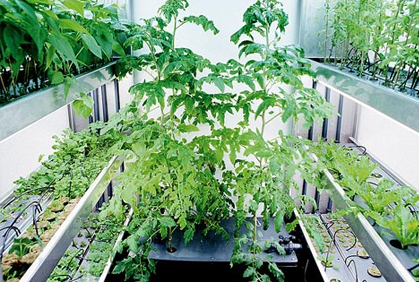 Hydroponic gardening is an incredibly versatile growing technique with many unique variations. 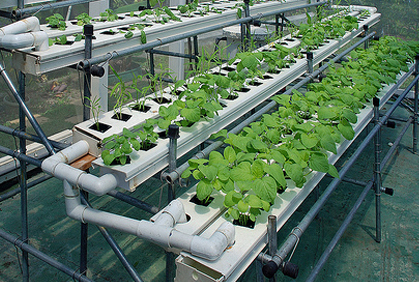 There are several similar branches including aquaponics and aeroponics. 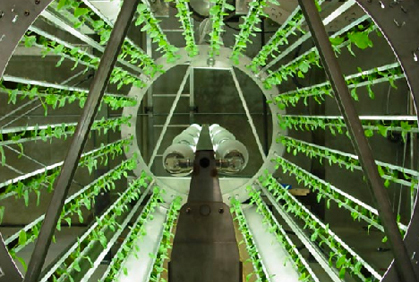 Aeroponics systems use air and a nutrient mist as the grow medium, and are particularly great for producing a flourishing indoor herb garden with popular lettuce and other small plants. Similar to Fluorescent lighting puts off less heat than traditional HIDs and with the latest and greatest full spectrum T5 fluorescent lights, can be used to grow plants through their entire growth cycle instead of just the seedling stage. The best grow lamps of 2017 are those that are both energy and cost efficient as well versatile to meet the needs of your system – our favorite option is the led plant light. Now that that the home hydroponic gardening set up is created, you may be wondering what are the best vegetables to grow hydroponically. 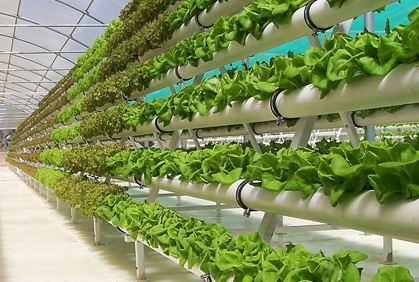 Any of your favorite vegetables for a garden can also be produced in a hydroponic environment. Growing vegetables without soil generates an equally delicious and nutritious product as those picked from traditional gardens or a commercial green house. In 2017, the most popular indoor garden ideas inclue edible crops to grow hydroponically include lettuce, tomatoes, herbs, strawberries and peppers. Cheap hydroponic systems for tomatoes are particularly wonderful because they make it easy and inexpensive to have fresh home garden vegetables and produce grown all year round. When growing vegetables it is especially important to use the best hydroponic nutrients to guarantee that your plants thrive and taste delicious. Specialized vertical gardening ideas are another popular option due to its space saving design and high yields. Inexpensive vertical growing systems utilize every square inch of your garden space by growing crops such as tomatoes, cucumbers and beans up trellis work or tall poles. With all of these endless variations of hydroponic techniques and materials, it can be confusing for the amateur diy hydro gardener to know where to begin. From how to guides to create a diy hydroponic drip system, to nutrient formulas and plant options we are your resource for the best gardening tips and tricks. With hydroponic gardening you can produce any of the great looks featured in the top garden pictures 2017 while remaining much more cost efficient and eco friendly.